A Sign in Space is a sound opera commissioned by The Forge in association with Durham Cathedral and Durham Music Service. It forms part of Sounding the Sacred, a participatory arts project exploring responses to sacred space. The new work gets its title from Italo Calvino’s Cosmicomics story in which the narrator—a galactically orbiting being called Qfwfq—creates the first ever sign and awaits its return some 600 million years later. 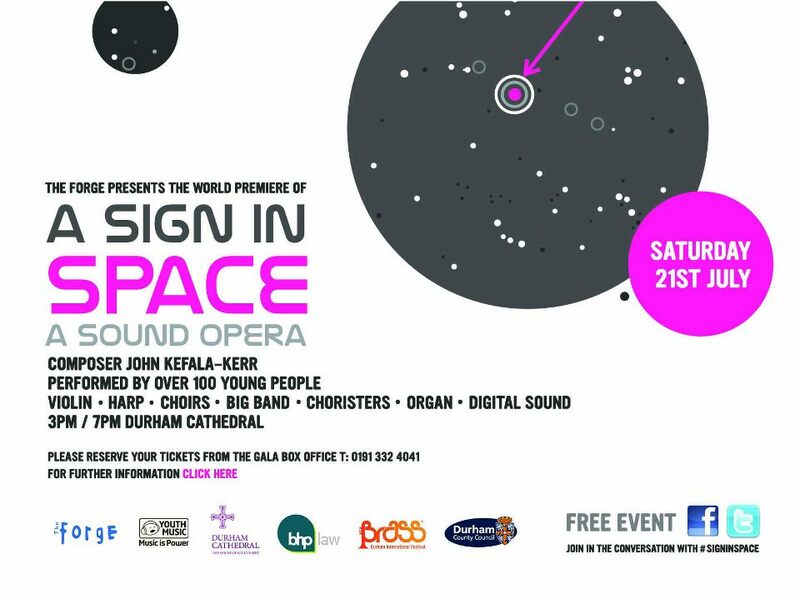 A Sign in Space will be premiered on 21st July at the 2012 Durham International Brass Festival. The work combines choral settings of Isaac Newton’s Principia with a variety of ‘cosmic’ sound treatments and live instrumental music. It does so in an attempt to conflate some of the traditional signifiers associated with the often opposed institutions of science and religion. Visit the Sounding the Sacred Blog.